Borg & Ide is proud to announce that our own Dr. Nancy Gadziala was awarded the Heart & Hands Award on Saturday, September 29th at The Breast Cancer Coalition of Rochester's annual ARTrageous Affair. The "Heart & Hands" Award is one of two awards presented at the Breast Cancer Coalition's annual ARTrageous Affair. 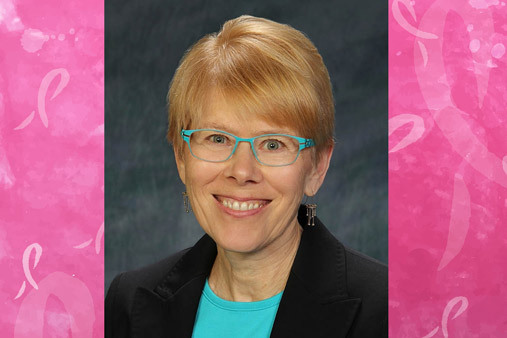 This award is named for Laurie Pask, an early member of the Living with Metastatic Breast Cancer Support Group, who died of the disease in 2008. Laurie was a registered nurse and a tremendously effective breast cancer advocate, graciously sharing her story with others. The "Heart & Hands" Award is given to a care provider whose work exemplifies a balance of kindness, compassion, respect and science that Laurie demonstrated while providing care to her own patients.